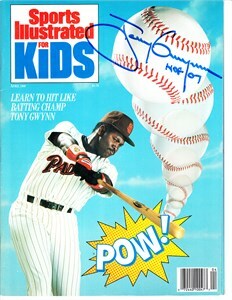 April 1989 Sports Illustrated magazine autographed on the cover in blue marker by San Diego Padres Hall of Famer Tony Gwynn. 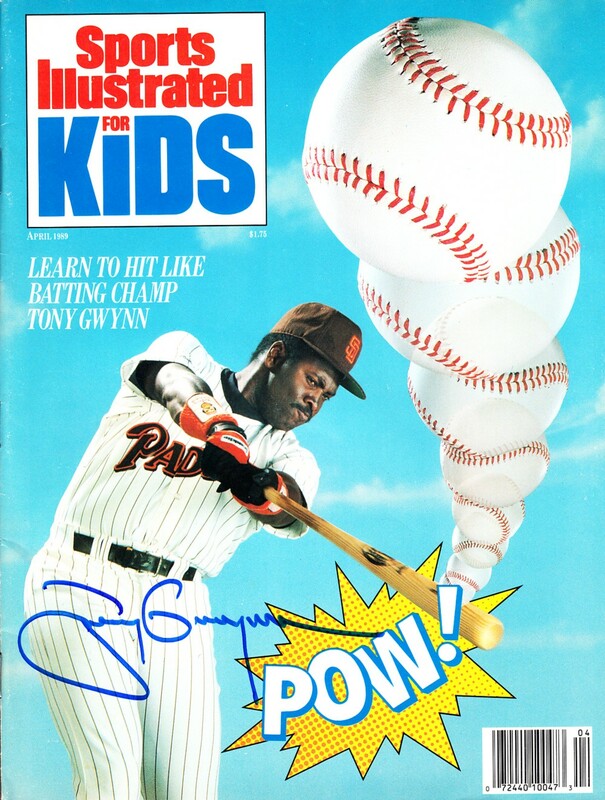 Excellent condition for its age with no subscription label and only very minor wear. NOTE: inside card sheet and poster have been removed. ONLY 2 AVAILABLE FOR SALE. With certificate of authenticity from AutographsForSale.com.